There are over five hundred million active mobile phone accounts in China, as of 2007, but the total penetration rate there still stands below 50%. The total number of mobile phone subscribers in the world was estimated at 2.14 billion in 2005. The subscriber count reached 2.7 billion by end of 2006 according to Information, and 3.3 billion by November, 2007, thus reaching an equivalent of over half the planet's population. Around 80% of the world's population has access to mobile phone coverage, as of 2006. This figure is expected to increase to 90% by the year 2010. According to Reuters, The British Association of Dermatologists is warning of a rash occurring on people's ears or cheeks caused by an allergic reaction from the nickel surface commonly found on mobile devices’ exteriors. There is also a theory it could even occur on the fingers if someone spends a lot of time text messaging on metal menu buttons. In 2008, Lionel Bercovitch of Brown University in Providence, Rhode Island, and his colleagues tested 22 popular handsets from eight different manufacturers and found nickel on 10 of the devices. ^ Wu, Tim (June 10, 2008). "iSurrender: Apple's new iPhone augurs the inevitable return of the Bell telephone monopoly". Slate. ^ "Asset Bank | Image Details". Imagelibrary.btplc.com. Retrieved July 11, 2011. ^ "30th Anniversary of First Wireless Cell Phone Call". 3g.co.uk. Retrieved July 11, 2011. ^ Phil Ament. "Mobile Phone History - Invention of the Mobile Phone". Ideafinder.com. Retrieved July 11, 2011. ^ "Swedish National Museum of Science and Technology". Tekniskamuseet.se. Archived from the original on October 22, 2008. Retrieved July 29, 2009. ^ "Mobile and technology: The Basics of Mobile Phones". Sharelie-download.com. Archived from the original on July 16, 2011. Retrieved July 11, 2011. ^ "Facts about the Mobile" (PDF). Archived from the original (PDF) on August 13, 2010. Retrieved 2011-07-11. ^ "Full Members ~ GSM World". Gsmworld.com. Archived from the original on July 11, 2011. Retrieved July 11, 2011. ^ "Europeans hang up on fixed lines". BBC News. November 28, 2007. Retrieved July 11, 2011. ^ Office of the Telecommunications Authority in Hong Kong Archived March 9, 2009, at the Wayback Machine. ^ "500 mln cell phone accounts in China". ITFacts Mobile usage. Retrieved September 5, 2007. 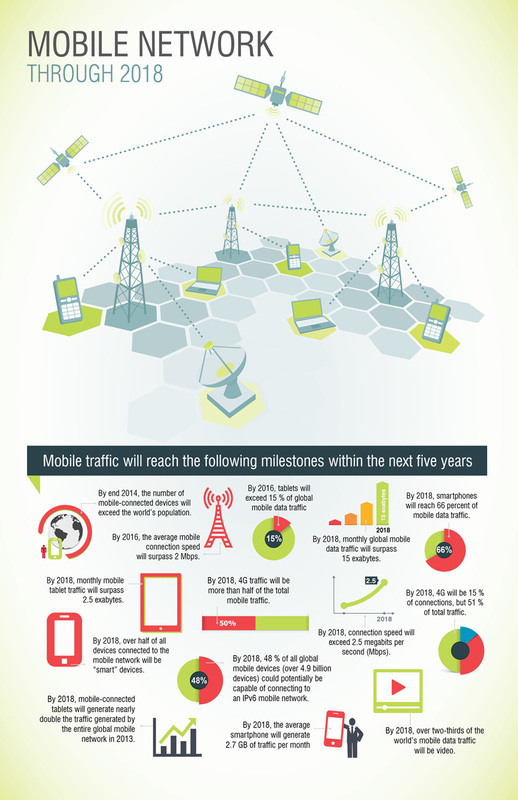 ^ "Up to 90 percent of globe to have mobile coverage". Textually.org. October 17, 2006. Archived from the original on July 16, 2011. Retrieved July 11, 2011. ^ "Cell phone use booming worldwide". September 15, 2007. Retrieved September 15, 2007. ^ "Mobile growth fastest in Africa". BBC News. March 9, 2005. ^ Rice, Xan (March 4, 2006). "Phone revolution makes Africa upwardly mobile". The Times. UK. Retrieved May 12, 2010. ^ "The Telecom Regulatory Authority of India" (PDF). Archived from the original (PDF) on February 8, 2015. Retrieved February 2, 2015. ^ "Mobile Network 2018". www.Phoneam.com. Archived from the original on April 29, 2015. Retrieved September 8, 2015. ^ The Committee Office, House of Commons. "Supplementary memorandum submitted by Gregory Smith". Publications.parliament.uk. Retrieved July 11, 2011. ^ "Guidelines on Cell Phone Forensics" (PDF). (1.44 MB), Recommendations of the National Institute of Standards and Technology, May 2007. ^ "Mobile phones key to Omagh probe". BBC News. October 10, 2000. Retrieved July 11, 2011. ^ "Communication safety". Nokia-n98.org. Archived from the original on December 24, 2008. Retrieved July 11, 2011. ^ "New Japanese phones offer Earthquake early warning alerts". Archived from the original on January 21, 2008. Retrieved January 8, 2008. ^ Campbell, Jonathan. "Cellular Phones and Cancer". Archived from the original on January 20, 1998. Retrieved March 2, 2007. ^ a b c d Steinhauser, Jennifer & Holson, Laura M. (September 19, 2008). "Text Messages Seen as Dangerously Distracting". New York Times. Retrieved September 19, 2008. ^ Hamilton, Tyler. "Listening to Cell Phone Warnings: Researchers Working Overtime to Find Out If the Greatest Tool of Business is Causing Brian Cancer in Those Who Use it Constantly" Toronto Star. May 31, 2008. Retrieved November 20, 2008. ^ "The BBC. "US Cancer Boss in Mobiles Warning." BBC News 24 July 2008. Retrieved November 20, 2008". BBC News. July 24, 2008. Retrieved July 11, 2011. ^ Doctors warn of rash from mobile phone use Reuters.com. Retrieved October 17, 2008. ^ "Mobile Phones for Kids Under 15: a Responsible Question". Point.com. April 13, 2006. Archived from the original on July 15, 2011. Retrieved July 11, 2011. ^ "Rise in executions for mobile use". ITV News. June 15, 2007. Archived from the original on August 17, 2007. Retrieved June 23, 2007. ^ a b Burger, Christoph; Riemer, Valentin; Grafeneder, Jürgen; Woisetschläger, Bianca; Vidovic, Dragana; Hergovich, Andreas (2010). "Reaching the Mobile Respondent: Determinants of High-Level Mobile Phone Use Among a High-Coverage Group" (PDF). Social Science Computer Review. 28 (3): 336–349. doi:10.1177/0894439309353099. ^ Aquino, Grace (April 28, 2006). "Cell Phone Fashion Show". PC World. Retrieved July 11, 2011. ^ a b Redelmeier, Donald; Tibshirani, Robert (February 13, 1997). "Association Between Cellular-Telephone Calls And Motor Vehicle Collisions" (PDF). The New England Journal of Medicine. 336 (7): 453–458. doi:10.1056/NEJM199702133360701. PMID 9017937. Archived from the original (PDF) on January 18, 2009. ^ a b McEvoy, Suzanne; Stevenson, MR; McCartt, AT; Woodward, M; Haworth, C; Palamara, P; Cercarelli, R (2005). "Role of mobile phones in motor vehicle crashes resulting in hospital attendance: a case-crossover study". BMJ. 331 (7514): 428. doi:10.1136/bmj.38537.397512.55. PMC 1188107. PMID 16012176. ^ a b Strayer, David; Drews, Frank; Crouch, Dennis (2003). "Fatal Distraction? A Comparison Of The Cell-Phone Driver And The Drunk Driver" (PDF). University of Utah Department of Psychology. Archived from the original (PDF) on April 11, 2009. Retrieved June 27, 2009. ^ a b Jeffrey K. Caird; et al. (October 25, 2004). "Effects of Cellular Telephones on Driving Behaviour and Crash Risk: Results of Meta-Analysis" (PDF). Ama.ab.ca. CAA Foundation for Traffic Safety. Archived from the original (PDF) on February 16, 2008. ^ a b c Horrey, William; Christopher Wickens (Spring 2006). "Examining the Impact of Cell Phone Conversations on Driving Using Meta-Analytic Techniques" (PDF). Human Factors. Human Factors and Ergonomics Society. 38 (1): 196–205. Archived from the original (PDF) on February 25, 2009. Retrieved June 27, 2009. ^ Domain, Public. "Text Messaging Law Effective January 1, 2009 Cellular Phone Laws Effective July 1, 2008". California Department of Motor Vehicles. California, USA: State of California. Archived from the original on August 7, 2013. Retrieved August 19, 2013. ^ David Crundall; Manpreet Bains; Peter Chapman; Geoffrey Underwood (2005). "Regulating conversation during driving: a problem for mobile telephones?" (PDF). Transportation Research Part F: Traffic Psychology and Behaviour. 8F (3): 197–211. doi:10.1016/j.trf.2005.01.003. Archived from the original (PDF) on June 16, 2007. ^ "Europe closer to allowing in-flight cellphone use". Engadget. Retrieved July 11, 2011. ^ Clark, Amy (April 3, 2007). "FCC Says No To Cell Phones On Planes". CBS News. Retrieved December 9, 2017. ^ "Communication Towers and the Fish and Wildlife Service". U.S. Fish and Wildlife Service. Archived from the original on August 5, 2007. Retrieved September 26, 2007. ^ Lean, Geoffrey; Shawcross, Harriet (April 15, 2007). "Are mobile phones wiping out our bees?". The Independent. UK. Archived from the original on July 6, 2008. Retrieved May 12, 2010. ^ Eric Sylvers (April 22, 2007). "Wireless: Case of the disappearing bees creates a buzz about cellphones". International Herald Tribune. ^ Chloe Johnson (April 22, 2007). "Researchers: Often-cited study doesn't relate to bee colony collapse". Foster's Online. ^ Associated Press (May 7, 2002). "Study: Cell Phone Waste Harmful". Wired. Retrieved July 11, 2011. Base (stylized as BASE) is the third largest of Belgium's three mobile telecommunications operators. It is a subsidiary of Telenet. It competes with Proximus and Orange Belgium. It was previously owned by KPN and sold to Telenet in 2015. IPKO is a company that provides telecommunication services in Kosovo. It is the second mobile operator in the country. Amongst their services are: mobile telephony, fixed telephony, internet provider and cable TV. The main shareholder of the company is Telekom Slovenije. Until the adoption of the new country code +383, IPKO used Slovenian country code +386. Mobile Telephony of Serbia (Serbian: Mobilna telefonija Srbije; marketed as mts since 2015 and formerly as mt:s from 1997 to 2015) is a consumer brand of Telekom Srbija under which it offers and provides all of its services to both private and corporate users. It was founded in June 1997 and started operating in August 1998. The company has wide range of offers to business and private clients, while the latest is 3G technology, introduced in late 2006. mts's network has 4,121,025 subscribers as of December 2014. Moldtelecom is a national telecommunications operator in Moldova. Created on April 1, 1993, as part of the national telecommunications restructuring, Moldtelecom was a state company. On January 5, 1999, Moldtelecom was reorganized and became a joint-stock company with the state being the unique stockholder. The company provides fixed telephony and Internet services of national coverage. The services, however, are unavailable in Transnistria. NMT (Nordisk MobilTelefoni or Nordiska MobilTelefoni-gruppen, Nordic Mobile Telephony in English) is the first fully automatic cellular phone system. It was specified by Nordic telecommunications administrations (PTTs) and opened for service on 1 October 1981 as a response to the increasing congestion and heavy requirements of the manual mobile phone networks: ARP (150 MHz) in Finland, MTD (450 MHz) in Sweden and Denmark, and OLT in Norway. NMT is based on analogue technology (first generation or 1G) and two variants exist: NMT-450 and NMT-900. The numbers indicate the frequency bands used. NMT-900 was introduced in 1986 and carries more channels than the older NMT-450 network. The NMT specifications were free and open, allowing many companies to produce NMT hardware and pushing prices down. The success of NMT was important to Nokia (then Mobira) and Ericsson. First Danish implementers were Storno (then owned by General Electric, later taken over by Motorola) and AP (later taken over by Philips). Initial NMT phones were designed to mount in the trunk of a car, with a keyboard/display unit at the driver's seat. "Portable" versions existed, though they were still bulky, and with battery life still being a big problem. Later models such as Benefon's were as small as 100 mm (3.9 inches) and weighed only about 100 grams. Orange România is a broadband Internet service provider and mobile provider in Romania. It's Romania's largest GSM network operator which is majority owned by Orange S.A., the biggest initial investor, who gradually increased its ownership. Between 1997 and April 2002, the company was named Mobil Rom, operated under two brand names Dialog (for monthly subscription plans, in Romanian means "dialogue") and Alo (for prepay services). In April 2002, after France Télécom gained a majority stake it was re-branded to comply with the group's global strategy. As of December 2012, Orange Romania has 10.3 million mobile subscribers.Orange is in head-to-head competition with Vodafone Romania for one of the most dynamic mobile telephony markets in south eastern Europe. Currently the mobile penetration is at about 115% (active users only). Orange edged ahead of Vodafone (formerly Connex) in terms of number of subscribers in September 2004. They are the main mobile telephony operators, with Orange having a market share of almost 38% of the total market (active and inactive users). Orange România also controls 4% of the Moldovan operator Orange Moldova. In June 2009, PrimeTel announced the launch of its submarine fiber cable landing station in Geroskipou and that Reliance Globalcom had terminated its 2.7 terabit HAWK submarine cable system into it . This makes PrimeTel the first private operator with such facilities, which traditionally have been a monopoly of CYTA.In May 2011, PrimeTel launched the first MVNO in Cyprus, making it the third cellphone operator on the island. As the first MVNO operator in Cyprus, PrimeTel has recently launched Mobile telephony services, becoming the first telecommunications company in Cyprus able to offer Quad–Play services (Fixed Telephony- Internet-TV- Mobile Telephony). In April 2015, PrimeTel launched the third MNO in Cyprus. Based on the latest data released in December 2018, Primetel holds 10.50% Market Share in Mobile Subscriptions in the Cyprus. Scarlet is a telecommunications company active in Belgium as an Internet Service Provider and provider of fixed and mobile telephony. It has minor operations in Luxembourg, Curaçao, Aruba and Sint Maarten. It was previously active in the Netherlands. The Belgacom Group announced its acquisition of Scarlet NA/SA on 15 February 2008, after the approval of the competition authorities. Belgacom aims to complement its own offers with Scarlet's basic, low-cost products in the areas of fixed and mobile telephony and the Internet for Belgian and international customers. Telecommunications in Moldova are maintained at a relatively high performance level. Because Moldova is a small country, telecommunications companies managed to achieve good coverage in both wired and wireless communications infrastructure. Landline is available in most settlements, however mobile phone popularity has vastly increased in recent years. Mobile communications infrastructure are fairly well developed but suffer from high prices, nonetheless the amount of mobile subscriptions is growing very fast compared to the landline. As far as the Internet is concerned, Moldova has one of the best wired Internet connections in the world as well as one of the cheapest in $ per Mbit. Telekom Srbija (full legal name: Preduzeće za telekomunikacije Telekom Srbija a.d. Beograd) is a Serbian telecommunications company headquartered in Belgrade. The company offers a range of fixed-line, mobile, and internet communication services in Serbia, Bosnia and Herzegovina, Montenegro and Austria. National Significant Numbers (NSN): seven or eight digits. Format: +503 NXYZ MCDU where N is NDC. A new numbering plan took effect in 2010. The minimum number length (excluding the country code) is 3 digits. The maximum number length (excluding the country code) is 8 digits. Regulation of the telephone numbers in Serbia is under the responsibility of the Regulatory Agency of Electronic Communication and Mail Services (RATEL), independent from the government. The country calling code of Serbia is +381. The country has an open telephone numbering plan, with most numbers consisting of a 2- or 3-digit calling code and a 6-7 digits of customer number. Until 1999, Tanzania, Kenya and Uganda shared a telephone numbering plan, in which subscribers were only required to dial the trunk code, area code and number. In that year, Tanzania adopted a new numbering plan. Calls to Kenya and Uganda require a regional prefix rather than having to use full international dialling. To call Kenya from Tanzania, subscribers dial 005 instead of +254, while to call Uganda, they dial 006 rather instead of +256. To call Tanzania from Kenya and Uganda, subscribers dial 007 instead of +255. Uruguay's calling code is +598. Since 2010, national long distance calling was eliminated, thus there are no area codes in each city. Wireless Application Protocol (WAP) is a technical standard for accessing information over a mobile wireless network. A WAP browser is a web browser for mobile devices such as mobile phones that uses the protocol. Introduced with much hype in 1999, WAP achieved some popularity in the early 2000s, but by the 2010s it had been largely superseded by more modern standards. Most modern handset internet browsers now fully support HTML, so they do not need to use WAP markup for web page compatibility, and therefore, most are no longer able to render and display pages written in WML, WAP's markup language.Before the introduction of WAP, mobile service providers had limited opportunities to offer interactive data services, but needed interactivity to support Internet and Web applications such as email, stock prices, news and sports headlines. The Japanese i-mode system offered another major competing wireless data protocol.